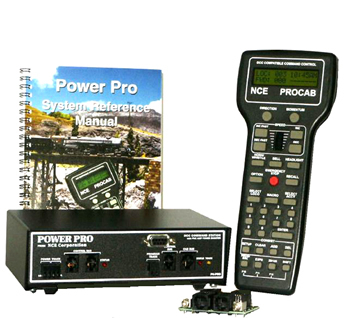 The Powerhouse Pro is one of the most user friendly DCC system on the market. The ProCab walks you through every operation with clearly labeled buttons and well thought out menu prompts in plain English on the backlit LCD display. 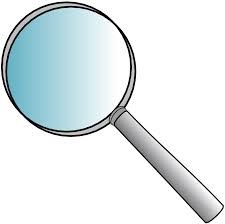 The most often performed operations usually are just a single key press plus we use normal human understandable decimal numbers. 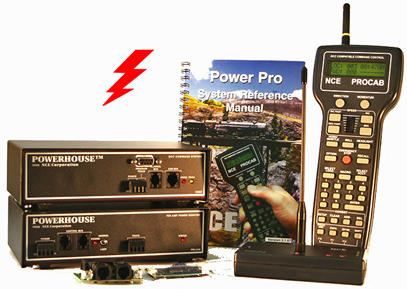 The Powerhouse Pro Radio is one of the most user friendly DCC system on the market. The ProCab walks you through every operation with clearly labeled buttons and well thought out menu prompts in plain English on the backlit LCD display. 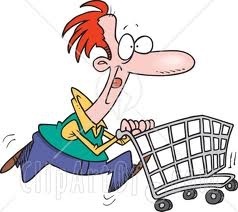 The most often performed operations usually are just a single key press plus we use normal human understandable decimal numbers. An entire DCC system in the palm of your hand! 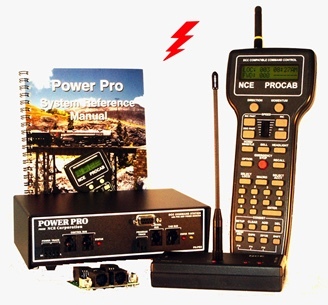 This 1.7 Amp system can operate 2 or 3 HO sized trains, or 4 N-Scale trains. 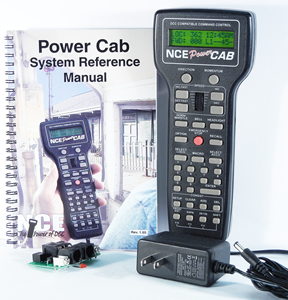 This cab provides all of the capability and ease of use that you’ve heard about in our Power Pro system, at an entry level price. Installation is a snap. Hook two wires to your track and plug in the cab. You’re off and running trains! Even includes 110V/240V power supply. The 10 amp Powerhouse Pro Radio has been designed specifically for large scale (O & G Scales) layouts. 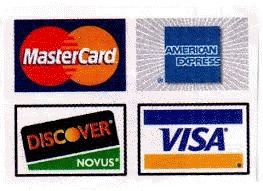 It is one of the most user friendly DCC system on the market. The ProCab walks you through every operation with clearly labeled buttons and well thought out menu prompts in plain English on the backlit LCD display. The most often performed operations usually are just a single key press plus we use normal human understandable decimal numbers.